With months left before the Math and Science Complex is scheduled to open, the fate of the Cunningham building is now getting attention due to an organized effort from a campus club and adjunct instructor. On Tuesday an email was sent out to the campus community encouraging faculty, staff and students to sign a petition to save Cunningham from scheduled demolition. “Why is Delta College using Measure L Bond money to destroy educational facilities and reduce the number of classrooms and services available to students? Wouldn’t this money be better spent in renovating this building instead?” asked Zack Prince, adjunct instructor, in the email sent out. The campus Hip Hop Congress Club is circulating a petition that will be presented to President Dr. Kathy Hart and the board of trustees. The hope is to halt the demolition, which will happen this summer. 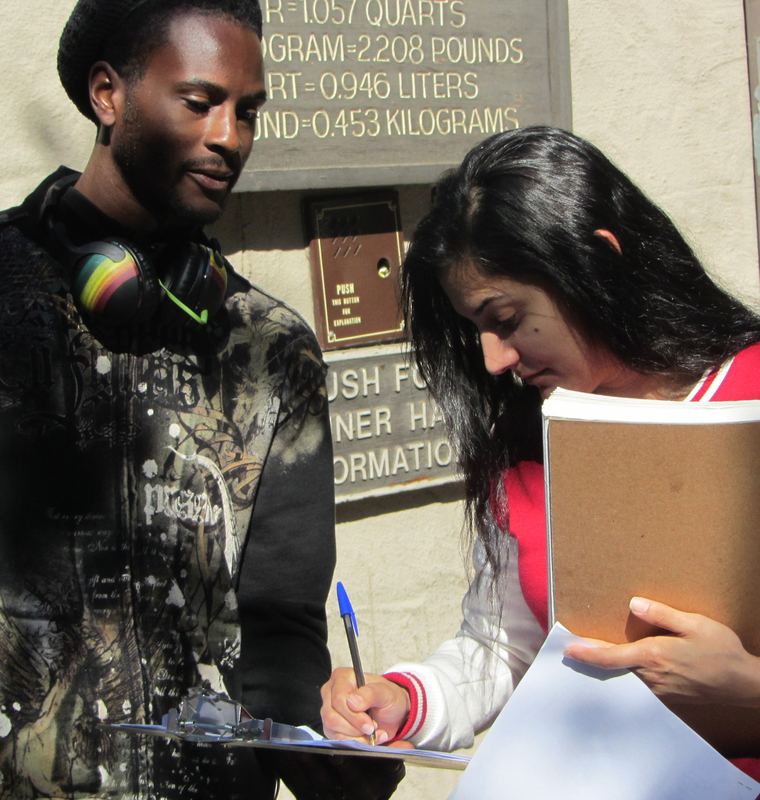 The club spent two days out in the quad area soliciting signatures this week. The Math and Science Complex will replace the outdated Cunningham building, completed in 1973. Campus Public Media Coordinator Jim Vergara said the new building is expected to welcome students in the fall. Construction delays and issues with the ventilation system pushed back the date from the beginning of this school year. The new building provides 70,000 square-feet of core laboratory space, with general labs on the first floor, wet biology labs on the second floor and chemistry labs on the third floor. An additional 40,000 square-feet will be allocated between offices and classrooms. In his email to the campus, Prince cites a smaller number of classrooms in the new building as justification for keeping Cunningham. “While the new Math and Science Building will expand laboratory space needed at Delta College, it actually contains only five general purpose classrooms. By comparison, the Cunningham Building has at least 14 classrooms, which includes several large lecture halls and two fully-wired computer labs. These will not be replaced in the Math and Science Building,” Prince wrote as his first point. Other arguments presented for the petition were the new building’s lack of a student lounge, the potential loss of the Clever Planetarium, which was renovated in 2009, and the impact on the college’s ability to schedule classes for the fall. In an email interview, Prince said Delta College could save money by keeping both buildings and it will increase the space of classrooms. Prince spent time last week encouraging passersby in the quad to sign the petition. “This petition asks the President, the Board of Trustees and the San Joaquin Delta College Citizens’ Oversight Committee to halt the demolition of this valuable building and re-consider ways that it can be saved,” said Prince in an email interview. The demolition of Cunningham appears certain, however. Construction of the Math and Science Complex was funded with a combination of the $250 million Measure L Bond, passed in 2004, and state matching funds, according to Vergara. In order to receive those matching funds, Delta agreed to replace the existing Cunningham building. “The college is obliged to live up to its agreement with the state that allowed it to obtain the matching funds,” said Vergara in an email interview. Dr. Matthew Wetstein, Interim Vice President of Instruction, said the Cunningham building is supposed to be felled after the new complex opening. Wetstein said decisions involving the planetarium have not been finalized.